Credit cards are a convenient and effective way to pay for all sorts of goods or services without having to carry cash. Nothing’s easier than pulling out that little piece of plastic when it comes time to settle the bill. However, credit cards can also cause problems if you don’t carefully monitor your spending and budget. One alternative used by people who either can’t qualify for a credit card or choose not to use credit cards is to rely on a reloadable card — also known as a prepaid card. Although they are often called reloadable credit cards, this term is a bit of a misnomer. In fact, these aren’t credit cards at all, but rather they act more like a debit card. The money you are spending when you use one of these cards is your own cash — either deposited by you into the card account or added to the account by payroll direct deposit or government benefits deposit. Continue reading to see our list of favorite reloadable cards, or skip ahead to the benefits of choosing a prepaid card for purchases. With the Pink Netspend® Visa® Prepaid Card, cardholders can receive their paychecks and/or benefits up to two days earlier than payday, which certainly comes in handy when it comes to paying bills on time. 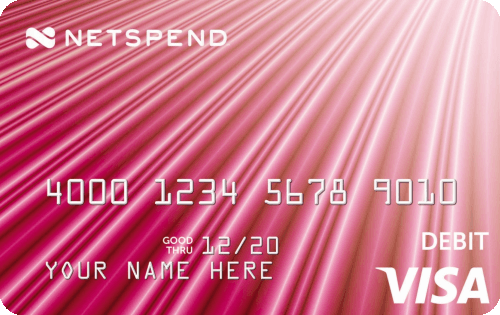 The Pink Netspend® card also features no late fees, no interest charges, and no minimum balances. It can be used everywhere Visa is accepted, including ATMs, grocery stores, utility companies, online subscriptions and other purchases. In other words, if you need to pay a bill, the Pink Netspend® card is a great reloadable option for doing just that. 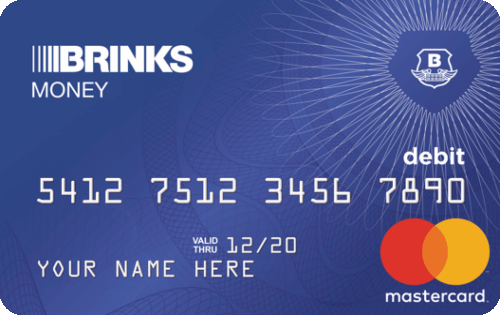 The Brink’s Prepaid Mastercard® charges no late fees or interest charges and comes with the PayBack Rewards℠ program, which enables cardholders to earn cash back on many everyday purchases. By using the Brink’s card for purchases rather than your bank debit card, you could accrue hundreds — or even thousands — in cash back rewards. Brink’s gives you the peace of mind you deserve. Securing cash and valuables since 1859. With Brink’s Direct Deposit, you can get paid faster than a paper check. Subject to card activation and ID verification. Terms and Costs Apply. Issued by Axos Bank®, Member FDIC. Click for full details. See additional Brink’s Prepaid Mastercard® Details. The card also boasts a handy mobile app, where you can set up account alerts, check your balance, and view the rewards you’ve earned to date. 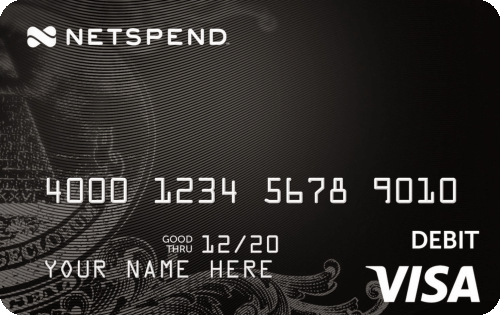 The NetSpend Visa Prepaid Card offers its users all the convenience of a Visa-backed debit card, plus the flexibility of three different usage plan options. The NetSpend Pay-As-You-Go plan comes with no monthly fee, but does charge a small purchase fee each time it’s used and $2.50 ATM withdrawal fees. This plan may be right for those who use the card minimally for purchases and withdrawals. The NetSpend FeeAdvantage™ and Premier FeeAdvantage™ plans offer no transaction fees, but charge a $9.95 and $5.00 per month plan fee respectively. All of NetSpend’s card plans allow for no-fee direct deposit, along with free online balance inquiries. Users can qualify for the FeeAdvantage plan with a monthly direct deposit in the amount of $500 or more. The Chase Liquid® Prepaid Card offers free direct deposit, free online bill payments, and free PIN and signature transactions, all for a low monthly fee of $4.95. Withdrawing money is also free at any qualifying Chase ATM or bank branch location. Additionally, reloading doesn’t cost a thing at thousands of Chase ATMs and bank branches, or online through the Chase online banking site or mobile application. Plus, use Chase’s mobile app to instantly deposit a check to your account. The BlueBird Card from American Express is as close to a no-fee card as we’ve found. With no monthly or annual fees, no transaction or purchase fees, no bill pay fees, and no initial card fee if you order online, the Amex BlueBird Card can save regular users a lot of money. Additionally, there are no ATM fees if you use one of the more than 25,000 MoneyPass® ATM locations. But perhaps the best feature of the BlueBird Card is the set of personal finance and money management tools that comes with it. Using the Insight® app lets you categorize, track and set spending limits for up to four separate cards. You can also monitor and manage your account from anywhere. In fact, the BlueBird Card is a great way for anyone to establish or relearn good budgeting and money management habits. The American Express Serve Card is one of the only prepaid cards that offers unlimited 1% cash back on every dollar you spend shopping in stores or online. It does charge a monthly fee of $5.95 and up to $3.95 for reloads, but this may be well worth the cost if you use your card frequently. In addition, there are no ATM fees when you use MoneyPass® ATMs, and online bill paying is also free. In fact, there are very few additional fees with the Amex Serve card, making it a great go-to card for active users. Oh, and you can’t beat cash-back rewards that are instantly available as soon as you earn them. Is it a savings account or a prepaid card? Turns out the Mango Visa Prepaid Card is both. Sporting an impressive 6% annual percentage yield (APY) on deposits up to $5,000, the Mango card can actually earn you money while you spend. Of course, there are some minor stipulations to earn your 6% interest, such as having direct deposit amounts totaling at least $800 each month and maintaining at least $1 in your account at the end of the month. The Mango card is free to sign up, but it does charge a monthly fee of $3 and ATM fees of $2 — so it’s a good card for someone who doesn’t make frequent withdrawals and maintains a fairly large balance (so the interest can offset the fees). There are many reasons people choose a reloadable prepaid card over a credit card. First, a prepaid card requires no credit check or other qualification. Second, a prepaid card charges no interest and no late payment fees. Third, and perhaps most importantly, a prepaid card can act like a checking account, without the high monthly fees and potential overdraft charges. So, are these cards really worth looking into? And more to the point, can they save people money? It all depends on how you plan to use your reloadable or prepaid card. Some cards charge ATM fees, which can make them more expensive if you frequently withdraw cash. Others have no ATM fees but may charge service or deposit fees. Still, others can be free of most fees altogether if you choose to direct deposit your payroll or benefits checks. A rare few of them may even pay you interest on the money you deposit in the card account, just like a savings account. One thing to keep in mind when considering a reloadable or prepaid card is that these cards don’t help you build or rebuild your credit. So if that’s a priority for you, then a reloadable card might not be the best choice. If, however, you are interested in avoiding credit card interest, saving money on check-cashing fees, and still enjoying the benefits and convenience of a card, then one of these may be right for you. Having a reloadable card that you can use just like a credit card can be a great way for many folks to manage their money. Reloadable cards can be a viable alternative to a checking account, helping to avoid check-cashing charges and other fees. Some of these cards even allow you to receive your payroll check a day or two early. Prepaid cards offer the convenience of swipe-and-go purchasing, but won’t get you into debt like a credit card might. Many prepaid cards let you track your activity on a smartphone app, so you always know where your finances stand. In that way, using a prepaid card can actually help you keep an eye on your spending patterns, and make you carefully consider your purchases. All good things when it comes to building positive financial habits. Mike Randall is most knowledgeable in the areas of credit scores and credit cards, having written on those topics and others for more than a decade. He graduated from California State University with a degree in English literature, and he has an extensive background in personal finance studies. Aside from credit cards and scores, Mike enjoys writing about changes in the subprime market and how they directly impact financial decisions.